Before I even start into this message, I want to be clear that I believe that something different works for each of us. Just because a weight loss method or strategy is on this list, does not mean that that method could not potentially help a certain portion of the population. Some of you may have seen positive changes in your health and life from some of the methods on this list. Still, with a large percent of the population continually on a diet at any given time and our weight problems continuing to escalate, it seems that maybe a lot of us are maybe doing one or more of these things, without a positive result. Adapting your approach doesn’t make you a “failure”, it makes you resourceful and resilient. We are all different. Our bodies respond differently to different things, and our perception and relationship with our bodies, exercise, and food are complex. We’re all operating from our unique place and perspective. With that said, I would like to propose that some of these (wildly popular) diet & exercise habits may be the very reason a person is not seeing progress, despite either dieting, exercising or both. The first three items on the list have to do with tracking; tracking activity, weight, calories burned or consumed, foods eaten, etc. The last two are more about how you’re eating and working out. For the record; a person can see great results without doing any of the things on the above list. Tracking everything and really sharpening your discipline can be helpful for some of us, to some extent, for a while. But what about the rest of the population, who are still struggling? Who have been working hard for months or years and are still not seeing results? If you’ve been honestly putting in the effort and you aren’t seeing results, what’s the hesitation to try another approach? Typically, the fear of gaining weight keeps people from bucking the tracking trends and trying to eat and exercise more intuitively. Many times, the fear of gaining and the lack of results makes people tighten their grip on any one or all of the above on the list; instead of trying a new approach, people try to eat even less, or workout even more. They set new restrictions and new diet rules - usually even more strict than the last. Instead of bringing around better results, it just accentuates the things that already weren’t working and further solidifies the perpetual diet mentality. It’s a spiral that can escalate quickly and become incredibly frustrating. So what do you do instead, and how do you put an end to the anxiety that letting go of any of these habits may lead to weight gain? You have to trust yourself, trust the process, and switch the focus/energy/discipline onto making the right choices, not necessarily micromanaging and meticulously tracking those choices. This is obviously much easier said than done, and it does take practice and some initial research so that you know you’re on the right path. For example; you can’t just “do it right” or completely wing it, if you don’t have a good idea of what healthy eating looks like (it doesn't involve depriving yourself or having to log every morsel that passes your lips) or if you don’t know what a properly built workout program looks like (it doesn’t involve brutalizing yourself every day or spending hours at the gym). Here’s a quick rundown of how to break up with these habits, if they are no longer serving you and your health, and what to do instead. Believe it or not, muscles will still be used and fat will still be burned even if you’re not wearing a tracker as a “witness” to your workouts. Again, once you have a general idea of what it is that you’re supposed to be doing, take the focus off of micromanaging your expenditure and instead, just show up. Pour yourself into your workouts. Be present and push yourself and have fun with it (using “fun” liberally here). You don’t need a calorie readout to know that you’ve pushed yourself or worked hard; are you breathing heavily? Covered in sweat? Muscles shaking? Why do you need a piece of tech to validate your workout? To top it off, these pieces of wearable tech are typically laughably inaccurate at actually tracking expenditure. Also, they are nearly useless when being used to track the two most effective training styles; HIIT & weight lifting. So in addition to keeping you in a hyper focus of arbitrary numbers that lend themselves to a dieting mentality, they are also minimally helpful due to their issues with accuracy. If you’ve been using this kind of tech for months and you aren’t seeing results, consider ditching the tech and focusing on instead a) showing up for your workouts, full heartedly and b) try to be generally active in life; take the stairs, pace while you’re on the phone, take stretch breaks from your desk job, etc. Little things add up; even if you’re not tracking them. I used to weigh myself multiple times a day. I know how these things can get their claws into you and rule the rest of your day. It’s a slippery slope to obsession. The thing is, a person's bodyweight is constantly fluctuating, and, scale weight is not the most reliable way to track your health, your progress, or the fitness of your body. We have seen so many before and after stories from our audience who look 20 lbs lighter in their “after” picture but who have actually gained 10 lbs of muscle and just look more compact, much leaner and toned. Long story short; if you have been weighing yourself regularly and you’re not seeing the results you want, consider ditching the scale for good. Many people who have had a longtime habit of weighing themselves see a quick improvement in both mindset and actual results when they stop stepping on the scale. Related: You are not your scale weight! The first thing I would address is how your training is split between strength, HIIT, moderate cardio, and recovery days. The most common mistake I see people make is doing too much cardio, or too much HIIT. Too much moderate or steady state cardio can have a negative impact on metabolism and HIIT should not be done more than 3 times a week - more is definitely not better and can instead lead to injury and illness. Strength training is one of the best ways to burn fat and can result in a small metabolism increase that applies around the clock, even while you're resting. It also comes with a long list of health benefits. Making sure you have a healthy representation of strength training for all of the muscle groups, as well as some cardio, stretching, and of course rest days, which should absolutely not be underestimated in importance. The next thing to consider is the length of your workouts. Really, 40 minutes, three to six times a week is enough. As is three to five 1 hour sessions, or five to six 30 minute sessions. The point is, there are a lot of different ways you can structure your workouts. 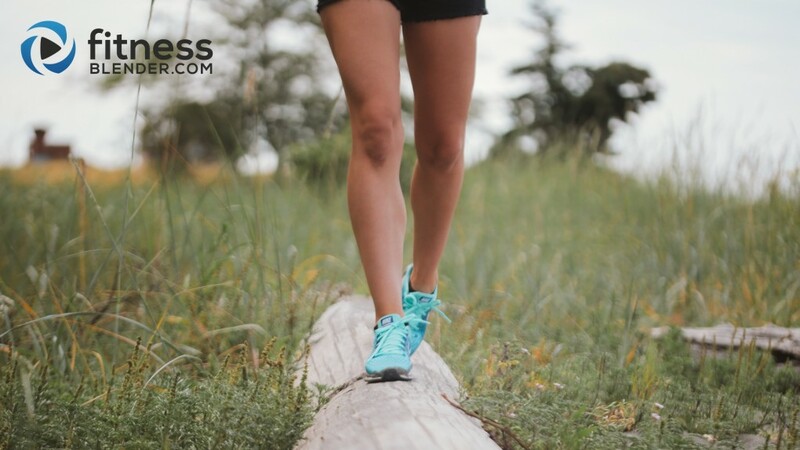 But in terms of frequency, if you’re putting in 6-7 days of work each week and not seeing results, you may benefit from adding in a day or two of rest or very light recovery workouts (such as walking or stretching). Duration also matters; if you’re working out for an hour or more, 5 times a week, and not seeing results, either your intensity, training type, or duration may be slowing or stopping you from seeing results. If you’re working out more than 5 days a week, or more than an hour every day and not seeing or feeling any positive changes, consider lessening the duration or frequency of your workouts. Related: How many rest days do you really need? Would you believe that eating too little may actually cause weight gain? Like the other items on this list, it’s complicated and dependent on many variables, but generally speaking, you really don’t need to go hungry in order to lose weight and in fact, doing so may thwart your progress. A drastic reduction in calories may cause your body to become more likely to stubbornly hold onto fat, potentially slowing your metabolism - which can cause grief in both the short and long term. What’s the fix? Similar to the advice in point #1 in this article; focus on eating for good health, for energy and to feel good. If you are making smart food choices and listening to your body’s hunger and full signals, it’s typically not necessary to count or restrict calories, track every macro every day, eliminate entire food groups, or follow any other generally strict diet that has a lot of rigid "rules". Again, I realize that in the beginning, a lot of us may need a guideline or something to follow and use to learn healthy habits. And there may be times in our lives when we may even need to reassess what was previously working for us, but is no longer serving us. It's important we stay aware of these things. But overall, the end goal of any diet or exercise program should be something that empowers you to move through your life healthily and naturally, not indefinitely tethering you to tedious habits and inflexible rules. I know that there are a lot of broad, sweeping generalizations and oversimplifications in the article above and obviously it won't apply to everyone. A lot depends on variables that are unique to each individual; it takes a lot of trial and error and honest self exploration to find out exactly what works for each of us. But if you want a healthy, fit body that is easily maintained over the years, a smart, moderate approach to both diet and exercise is what you want to aim for. The things on the list above take a great deal of effort and can be obtrusive on a normal, healthy life, but they may also be actually slowing or stopping your progress. Truly, consider that; the very things you are doing to try and see results may be the exact reason you aren’t seeing them. Before you blow it off, as it may be tempting to do, really give yourself an honest chance to consider it. If you have been putting yourself through any or all of the items on the list for the last 4 months or more, without any positive changes, maybe it’s time you try another method. In the end, if you want to have a healthy body and a healthy mind, you should commit yourself to living well in a more natural, fluid way that doesn’t have you logging every meal or weighing yourself every morning, wearing fitness tech as a part of your everyday uniform or keeping up a grueling, inflexible workout or diet regime that leaves you feeling perpetually hungry, depleted and exhausted. You should be eating well and exercising to create a better life for yourself, not reworking your entire life to look a certain way or weigh a certain amount. I would love to hear your thoughts; what do you guys think? Would you like to see more topics like this covered? Do you have points that you would like me to cover in more depth? Let me know how I can be helpful. If you have any other topics you’d like me to cover, share in the comments below. Thanks for reading!